A routine disease investigation has ruled out avian notifiable disease but detected H1N1 influenza in turkeys on a farm in Cheshire. The strain is closely similar to the human pandemic H1N1 strain currently circulating. The Health Protection Agency has undertaken a thorough public health risk assessment and can confirm there is no risk to public health. This finding has resulted from a routine notifiable avian disease investigation relating to a small number of turkeys showing mild signs of disease. During the investigation there was clinical improvement in these birds. 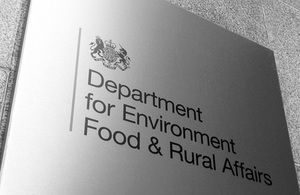 Results of laboratory tests show that statutory notifiable avian disease - where the government would need to take animal health action - can be ruled out. Restrictions have been lifted on the farm. There is no food safety risk. Pandemic H1N1, in common with avian influenza, has not been shown to be transmissible to people through eating properly handled and cooked poultry meat, products and eggs. Bird keepers should continue to maintain appropriate biosecurity measures and be vigilant for signs of notifiable avian disease and report any suspicion promptly to the Animal Health agency. Pandemic H1N1 2009 has been confirmed in poultry in other countries around the world including the USA, Canada, Chile and France. Influenza viruses have been shown to infect a great variety of birds. In poultry, influenza causes two distinct clinical forms: highly pathogenic avian influenza (HPAI) and low pathogenic avian influenza (LPAI). HPAI leads to serious disease in almost all poultry species resulting in large numbers of deaths. It is caused by some viruses of H5 or H7 subtypes. LPAI viruses belong to all H subtypes and only cause mild limited infection. The UK maintains a programme of surveillance of avian influenza in domestic poultry and wild birds found dead. When statutory notifiable avian disease is confirmed action to confine and stamp out disease includes movement controls on susceptible species in the area around the premises, enhanced biosecurity, culling of susceptible poultry on the premises and cleansing and disinfection of the premises.